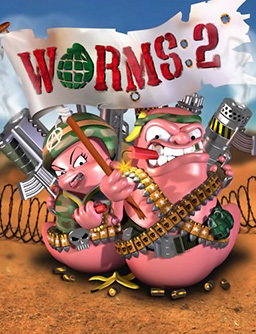 Worms 2, is it better than Worms? Does it live up to a pretty decent score? I won’t go into too much detail about the game, it is basically the same as Worms: United, but the game has been tweaked to perfection! The “ludicrous weaponry” from the first? Now you get SUPER SHEEP! Yeah, FLYING CONTROLLABLE SHEEP! and it doesn’t stop there either. The game is graphically superior and does away with the small indistinguishable worms, and replaces them with cutesy, defined cartoon worms. For me this is a good thing, and it means graphically, the game has fared better over time. 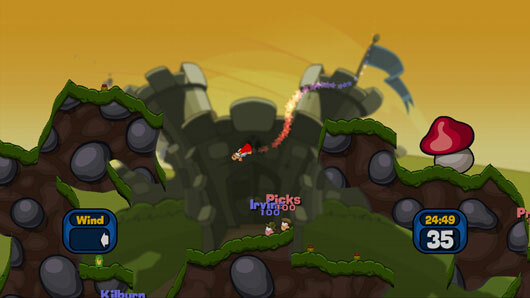 Worms: United is a little ugly, but you forgive it. Cartooney graphics stand up better to father time, and Worms 2 helps prove this. The game plays in much the same way as Worms: United, you take it in turns, and use the weapons at your disposal to take out the enemy team. Airdrops will provide more powerful weapons in the normal game. Or, you can use the editor which allows you to choose the weapon load out you want. This can mean infinite EVERYTHING. It does remove some of the skills like matering the wind or ninja ropes, but allows a level playing field among skill groups. The solo/mission mode is improved as well, with the total now standing at about 45 missions. To be honest though, stick to the hotseat multiplayer/vs bots. The game is just so pants on head retardedly awesome, that not being able to “Old Woman” your mates to death would just be a shame. The team creator is a little more powerful too, and you can create a team with up to 8 worms. The only thing lacking, is the preexisting teams! Worms 2 improves on Worms: United in every way. In is such an advancement of the concept, and dialling up the stupid so many extra notches just adds a level of multiplayer madness that isn’t easily achieved. Pros: Better graphics, Super Banana Bomb, Ming Vase, Mail Strike, Mad Cow, Old Woman, Homing Pigeon, Super Sheep, HOLY HAND GRENADE! Cons: No Internet multiplayer, No Gary Freaking Barlow! Whoever wrote that wikipedia article was probably a baby in the 90s. I remember Worms Armageddon on the PS1 and I have it again on the X-BOX 360. It was probably the best game of the franchise. 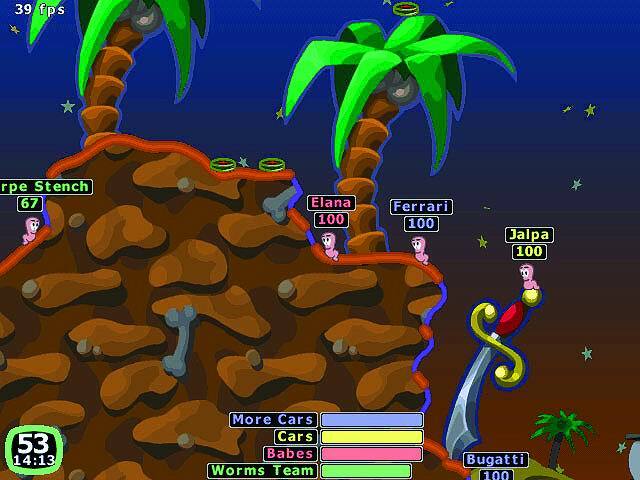 Worms 2 was released in 1997 while Worms Armageddon came out in 1999.